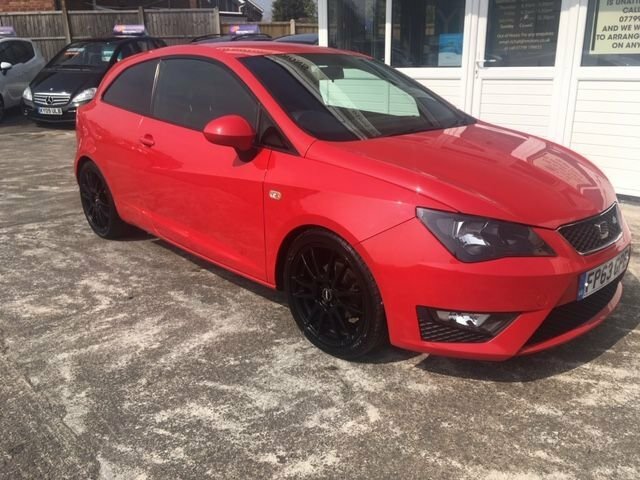 This car is one of the nicest vehicles we have had through the gates here at BJH Motors - definitely not 'run of the mill' this Seat Ibiza 1.2i Petrol FR Edition is unmarked in stunning Bright Red and has unmarked 17" Black Alutec Alloys with Kumho Tyres. Covered a mere 72,000 miles this low tax, low insurance model also features Privacy Glass, Sports FR Wheel, E/W, E/M, AUX/ CD, 5 Speed, Cruise Control and the stunning FR Race Seats!! 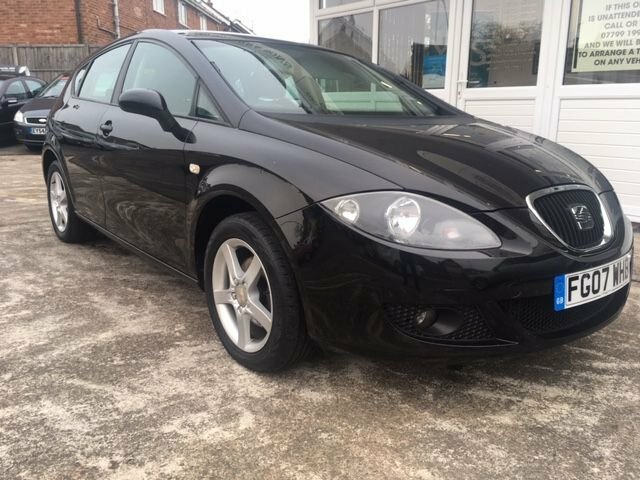 This superb and rare 2011 61-Seat Leon Copa SE Auto has covered just 57,000 miles from new with FSH, it comes presented in umarked jet balck with black sports trim and tons of extras!!! these include factory fitted sat nav and bluetooth phone pre.cruise control,climate control,auto lights and wipers,multi function steering wheel,reverse parking sensors,alloy wheels and USB/Aux interface! 100% the best you will find anywhere!!!! 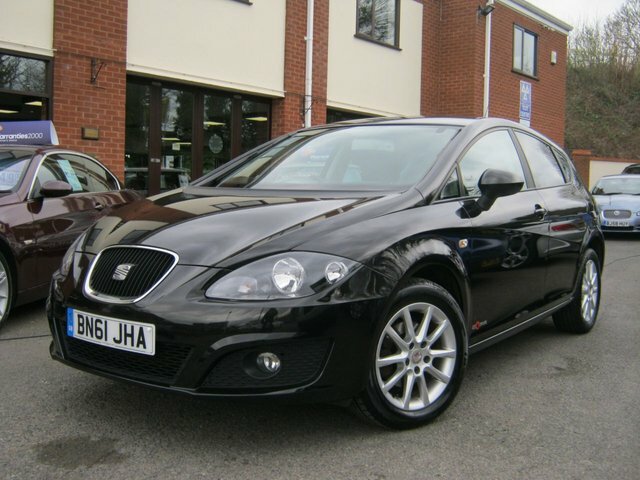 2007 Seat Leon finished in Dazzling Panther Black - The 5dr car that looks like a Coupe due to its hidden rear door handles!!! Fitted with the ever reliable Seat 1.6i Engine that has covered just 77,000 miles and fitted with M/F Leather Sports Steering Wheel, Phone Prep, MP3/ CD/ AUX, 5 Speed Gearbox, Black/ Red Sports Cloth Trim, Electric Windows, Electric Mirrors, Sports Alloys and been fully maintained with 6 Stamps in the Book...!!!! A car so mint it should have a polar bear sat on it....!!! 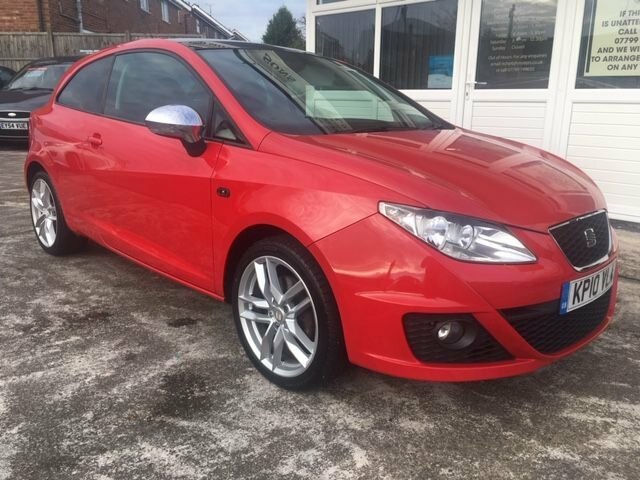 This super stunning 2010 Seat Ibiza FR Edition is the 2.0 Diesel Hyper Rare Version finished in Gorgeous Rosso Red..!! Features no less than 8....yes 8...!!! Stamps in the Service History Book (majority with Main Dealer) and also features 17" FR Alloys, FR Sports Steering Wheel and Gear Shift Assembly, Electric Windows, Electric Mirrors, Auto Digital Climate Control, Sony Bluetooth/ DAB Head Unit, Red Stitch Contrast Seats, Silver Mirrors, Sunroof, Cruise Control and x2 Keys...!!! Has covered just 79k miles but has had Timing Belt done at Seat Main dealer just 12 months ago....!!! Best on the market right now and first to see will buy!!! Find your next dream car with the help of the experienced team at BJH Motors and Sons. We're proud to stock an excellent selection of used SEAT cars, with models to suit a wide range of motorists. Take to the city in a used SEAT Mii, enjoy the punchy engine of a used SEAT Ibiza Cupra, or discover more about the practical nature and spacious interior of the SEAT Alhambra. Browse the full range of used SEAT models for sale in Worcester here on the website, and feel free to contact a member of the showroom team for more information. Rest assured that we'll always go the extra mile to ensure you find the right used car to suit your lifestyle and budget.